The Ocularly challenged heroes of our modern age. Here’s the big one! If you haven't heard anyone mention this guy you either don't work in Optics or you have been living under a rock for the past 20 years. The half blood prince has got a lot to answer for when it comes to peoples opinion on round frames. They either love them or hate them. Too round and you immediately here the fatal words of “he whose name should not be spoken” (see what I did there) It usually goes along the lines of “Too….Errrrm… Harry Potter for me.” It can be a blessing or a curse from a dispensing perspective. I guess in conclusion, we can thank Harry for raising the profile of round eyewear but I cant help feeling like we need more cultural reference points! Come on people! To nail the Potter look. Go for a Warren in black and tort from Garrett Leight or for women theres the latest Celine CL50001U for that perfectly round aesthetic. The classic gentleman. This guy literally becomes unrecognisable as his daily persona when he takes his spectacles off! It seems pretty unrealistic to suggest this guy is not immediately recognised. But, outside the world of Superheroes I actually think the idea of reversed identity actually bares some kind of truth. We often find that when a familiar face doesn't have their spectacles on, they too become somewhat indistinguishable. I guess this suggests that when ‘done right’, eyewear can be so iconic and intrinsic to a persons overall style that it becomes a part of what they are known for. I don't think we can give Clark the credit for this (! ), but a strong image can be a result of some great styling and dispensing. Off duty superheros should look no further than Tom Ford or Gucci’s latest 2018 AW mens range for that striking dark acetate look. Ednaphobia has been haunting Opticians for what seems like years! The image of this individual seems to be permanently seared onto half the populations retinas. Whats the cure and how can we change pubic opinion? Is Ednaphobia incurable? Well here’s the thing. A raised brow frame, or a cat eye style, can be one of the most popular and versatile shapes. It is a very elegant and timeless style, that combined with the right colour or pattern, looks extremely fashion savvy for wearers of all ages. Like any of the many styles we love, there’s no guarantee it will work for you personally; but for Ednaphobes worldwide, facing your fears on this one could be the best way to end Ednaphobia for good. For those who have been enlightened look no further than Bvlgari 4165, or for a modern take the Cutler and Gross 1288 (both pictured). I cant think of another British Icon who has polarised opinion on eyewear as successfully as Deirdre Barlow over the decades. 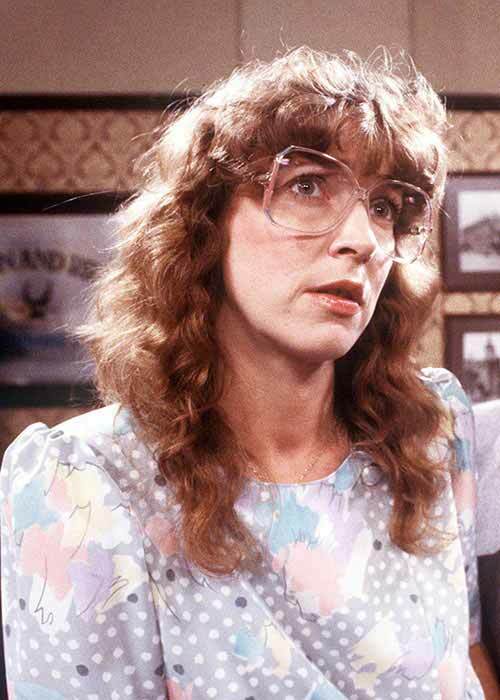 Potentially without even knowing it Deirdre’s oversized 80s frames are a cultural reference point for customers time and time again! If you follow optics trends as closely as we do you will know that in many respects oversized is back with vengeance! Metal and Acetate oversized square and aviator frames are now commonplace. Could this be Deirdres legacy finally getting the praise she deserves or simply a re-imagining of something edgy we took for granted the first time around. Either way we are into it! 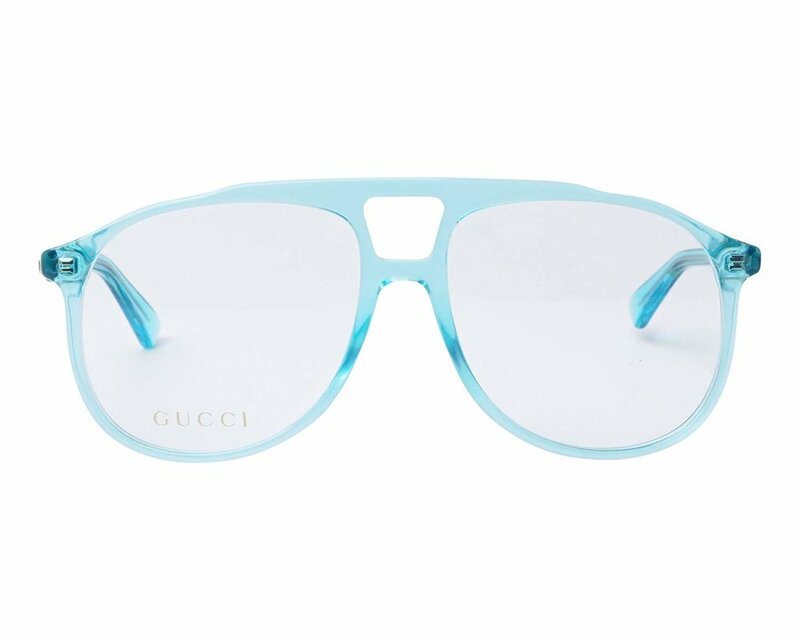 Make Deirdre proud with Gucci’s Acetate Aviator or oversized square round GG0259O or GG0264O. 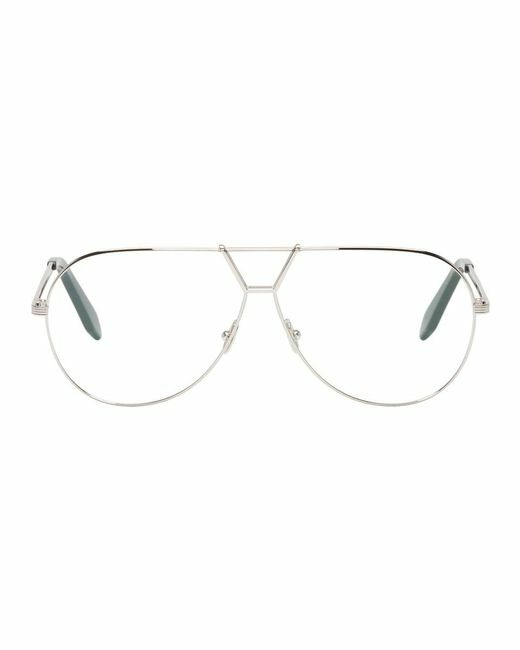 For those who are into metal frames try VB’s latest Aviators VBOPT227. Rhianna: Dita Rikton 402 "A masterclass in futuristic eyewear"